Solving Crime in Record Time! 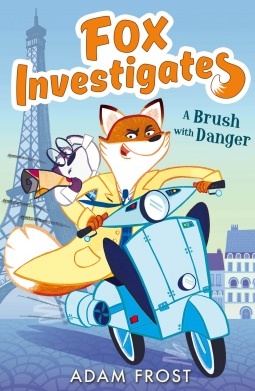 A priceless painting, a mysterious letter, a piece of cheese so stinky it’s deadly… From the art galleries of Paris to the palaces of Moscow, detective Wily Fox is on the trail of Dimitri Gottabottomitch. But the brown bear is doing whatever he can to throw Wily off the scent. Can Wily solve the case of the priceless painting or will he be the victim of an art attack? As a parent and a writer it’s important to me to encourage my kids to leave honest reviews. The importance of helping writers and indeed encouraging them to continue to produce excellent books is vital to the industry. So what do you think the biggest compliment that a child could give after devouring a book – yep, I wrote devour and I meant every letter. This book has only been in our lives a day or so, but it’s already part of the family! it’s even been taken camping! In our house there are a few rules. The biggest bug bear being that electronics time is 5.30 and not a second before. Ha! I got her this time – she was so keen to finish she missed it completely! More please Mr Adam Frost. I make no apology that I like Shakespeare, but not reading the plays – seeing them as they were meant to be seen – On the stage. Not that I get much chance these days, but in my youth I was lucky enough to spend time in Stratford-Upon-Avon and that’s where I first saw this play being performed. 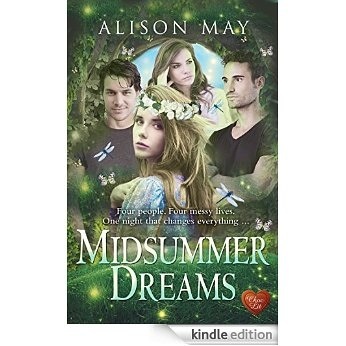 Therefore I was intrigued to see just how the writer, Alison May could translate such a bright, and in truth confusing story into modern day language, but she managed. I think it helped that she decided to use multiple voices, separating each by chapter or else the reader would have had no chance! What with the King and Queen of the Fairies and well as the four confused lovers I don’t thing Shakespeare ever intended for his plot to be emulated. However I’m all for the retelling of the classics, especially if they are done with both style and humour. if Sweet Nothings was a movie it would be a Richard Curtis comedy with Colin Firth in the lead, I can even see that reindeer jumper! There are shades of genius here reminiscent of David Nicholls One Day. This isn’t because of the backwards, forwards plotting that moves the story forward in bite sized chunks with flashbacks, this is thanks purely to the delicious character of the male lead, Ben Messina. Ben is socially awkward, you know the type – he only opens his mouth to change feet! Here is a character we all love to hate. He’ll stand us up because he forgets the time, he won’t buy us flowers (only post-coital knickers), there’s no question he’ll remember our anniversary, maths professor notwithstanding. However he’ll do his best – a male lead that will, no, can only do his best – Pure genius! Andrea Libutti began the work of reconstructing herself after her oldest son was diagnosed with severe autism several years ago. Distraught and seemingly hopeless at the time, a series of unfolding events moved her from sleepwalking through life toward a personal journey of inner transformation. She immersed herself in research surrounding the causes and treatments for autism, and after several years of learning she has come to understand the disorder from a physical, emotional, and spiritual perspective. In Awakened by Autism, Andrea shares her journey and the knowledge she has gained along the way. She believes that the masses of children diagnosed today with autism are here to teach us some important lessons about the world we have created. Humanity has gotten off track, leaving our bodies and our planet overburdened with toxins, and our families exhausted, stressed, and broken. It is for these very reasons that autism has emerged as an epidemic and a calling for humanity to wake up. We cannot continue to deplete our planet and our souls and still expect our children to thrive. Awakened by Autism is a practical guide for healing our children—and a starting point for healing our selves and our planet. The interesting thing about this book is that it’s a mum and a doctor striving for the best for her son. I’ve read many books on the subject, but this is the first where the expert is also a parent of a child with this diagnosis. I’ve talked about a silver bullets for Autism in a previous book review – It’s indeed heartbreaking that there seems to be no one answer to cure or treat, but in a way it makes sense. But that said there is still work to be done, children to be cared for and hope to be had. 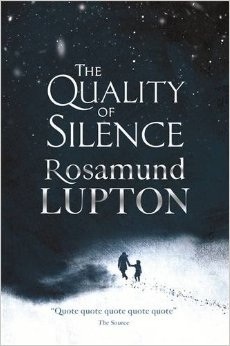 i was lucky enough to read an ARC of Rosamund’s book over May Bank Holiday. I had so many plans for that weekend and very few of them materialised when I got my nose stuck into this amazing read. Apart from the writing the research was impeccable – From the description of hearing loss, life in Alaska to even the signs of stroke you could just tell that this took a long time to prep before the first word hit the page. Rosamund is quickly earning a place amongst my favourite writers. I read this from cover to cover in a couple of sittings and to me every word made sense. Thats not to say that I believe that Vitamin D is the magic bullet that will lead to sorting out the huge recent avalanche of apparent new autism diagnoses over recent years. I’d like to. It would be so easy wouldn’t it and sad in a way that something freely available could have prevented the challenging and heartbreaking behaviours seen across the spectrum. This is a clearly set out book peppered with lots of examples provided by parents of how a daily dose of Vitamin D has made improvements across both the spectrum and age ranges. 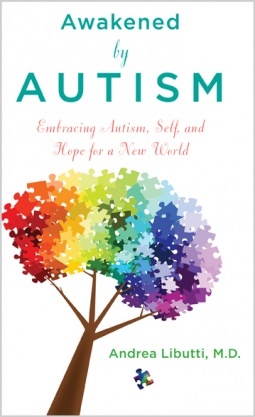 The book also delves into alternative opinions and in a way is also a history book of the condition that will be useful to people investigating autism for the first time. The only comments that I would have would be a cry for independent randomised controlled trials, not funded by pharmaceutical companies that make Vitamin D and with large control groups and not the less than a hundred participants that is so often seen and so often useless in the larger scheme of things. So will I be purchasing vitamin D in the future? It’s certainly something that I’m going to investigate further. Take a journey in a hot air balloon to see the world differently. Open your heart, drop your fears, relax and get in touch with your feelings. This colorfully illustrated interactive journal with a delightful story line has been used to help children of all ages express their emotions and feel better about themselves and the world through writing, drawing, and symbols. This fully updated and expanded edition is overflowing with new stories and activities to unleash creative expression and allow images to do the talking. 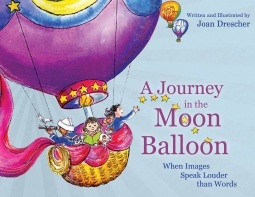 A Journey in The Moon Balloon® is an indispensable tool for parents, teachers, counsellors, art therapists, health care professionals and all those concerned with bringing emotional healing to children. There are all sorts of people in the world and sadly we usually hear about the naughty ones! But not in this case. A book written to help children of all ages address their fears, hopes and dreams through a series of amazing well thought out ideas and images. It’s primarily aimed at children in the hospital setting, but I feel that the concepts used could easily be translated to be used with children with emotional difficulties, learning disabilities and autism. In the book we are given it’s use in a range of age groups from toddler to high teens and with conditions such as brain tumours, post suicidal attempts and those undergoing chemotherapy. What a great idea to put on the pain free hat pre treatment or asking them ‘What colour anger is?’ Addressing and admitting our demons is always half the battle. This book acts as an intermediary in helping health care professionals and families provide the care that children actually need and not just what they think they need. 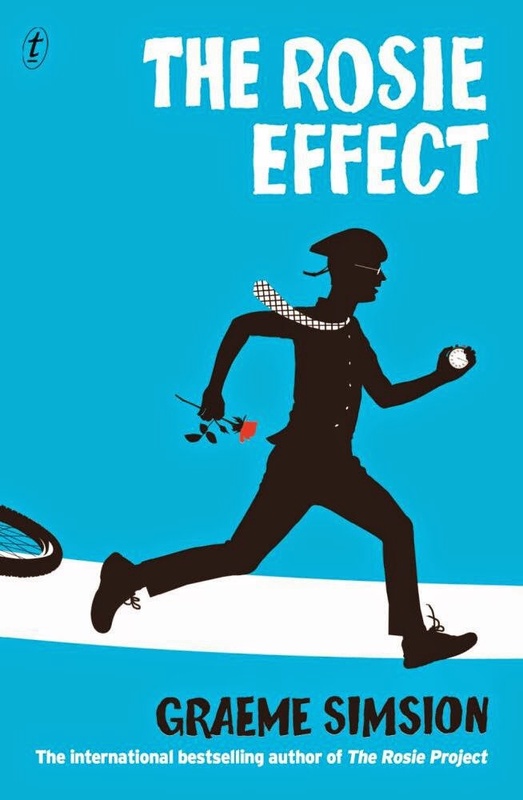 if only it was as easy with grown up medicine…..
To start off I’ll admit I’m biased as The Rosie Project is probably my second favourite read of all time. In 2013, when everyone else was scratching their head at the new book on their shelves I’d already read my copy, on the publication day no less. But with my interest in Aspergers it was a no brainer. It probably helped that Bill Gates subsequently labelled it as one of his favourite books of all time, which obviously means that I’m highly intelligent too hmmmm. There has been lots of media interest in whether there was going to be a follow up and of course with a character so divinely unique there couldn’t but be. 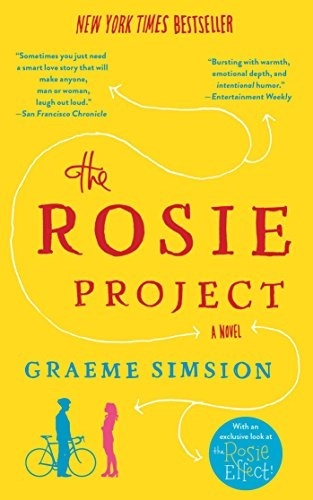 Graeme Simsion may be following a course followed by many writers, film producers in creating a sequel, but who can blame him. The success of his first book must have been a dream come true. I’m not going to spoil it by giving away the plot, but let’s just say that the shock of Rosie getting pregnant was more a shock to him than his partner. The ending is formulaic in that it’s happy, but when choosing a book of this nature a HEA is given – that’s why we buy them. For me any book that raises awareness that different is just that: Not right, not wrong – Simply different, will always get my vote of approval. Throughout the books there appears to be no intention to label Don as Autistic and, in fact any reference to his invisible disability is of his own making – Refreshing. I came across a new book last week and in the process discovered a new writer – Merryn Allingham. 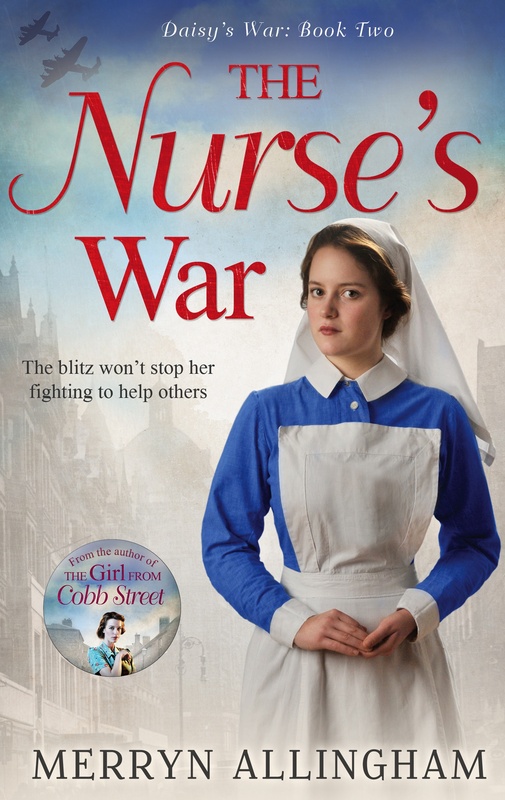 The book I read ‘ The Nurses War ‘ is part of a trilogy, although stands alone as a good read. Luckily Merryn has agreed to feature on my blog today and let us in on some of her writing secrets. So Merryn can you tell us a little about your book The Nurses War? The Nurse’s War is the second book in the trilogy that charts ten years in the life of Daisy Driscoll, a working-class girl from London. Daisy has been brought up in an East End orphanage and longs for a home of her own, but the marriage she makes to a young officer in the Indian Army sees her facing deception and danger. She survives that ordeal to return to England and begin training as a nurse at St Bart’s. The Nurse’s War opens in 1941 when the Blitz is in full swing. Along with her colleagues, Daisy is working round the clock to help victims of a rubble-strewn London, and trying at the same time, to forge an independent life for herself. But it’s not long before misfortune strikes when the past comes back to haunt her. She finds herself once more falling into a web of intrigue and once more having to battle to save herself and those she loves. Looking back, I can see that I’ve always written something – short stories, a diary, several magazine articles – but between family, pets and my job as a lecturer, for many years there was little time to do more than dabble. When the pressures eased, though, I grabbed the chance to do something I’d always promised myself – to write a novel. I’d taught 19th century literature for years and grown up reading Georgette Heyer, so it seemed natural to gravitate towards the Regency period and to write romance. An added incentive was that both UK publishers of Regency romance had an open submission policy and one, at least, was willing to help polish the manuscript, if my writing showed promise. It was an offer I couldn’t refuse! I used to love Georgette Heyer. For me it seemed reading romance was somehow more respectable in barouches! So what made you decide to change your genre and mood? I started publishing over five years ago and produced six Regency romances under the name of Isabelle Goddard. Writing category historical romance proved a great apprenticeship, but left me wanting to write more mainstream fiction and to write on a larger canvas. It also left me wanting to create something a little darker. It hadn’t escaped my notice that with each succeeding Regency, the mystery element of the novels had become more pronounced. It seemed a natural progression then to segue into writing suspense, but still with an element of romance. 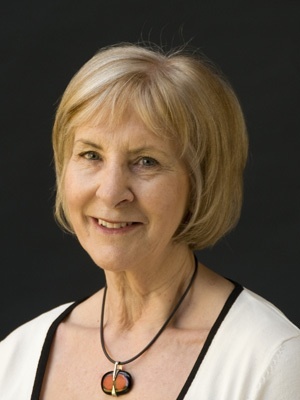 In 2013, I adopted a new writing name -Merryn Allingham – and launched myself into the new genre. At the same time, I decided to jump period. From the Regency I advanced to Victorian England with The Crystal Cage and for the trilogy, made another move in time and place – the Daisy’s War series is set in India and wartime London during the 1930s and 1940s. And with this change came a change of publisher – MIRA? I am in awe of people who self-publish and make a success of it, but from the beginning I knew that I wanted a publisher behind me, giving much needed editorial advice and clueing me into the commercial aspects of publishing, of which I was entirely ignorant. 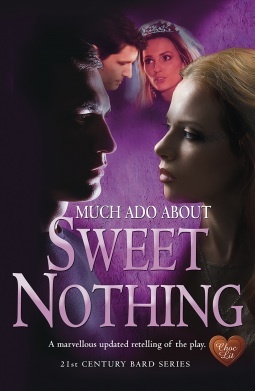 Mills and Boon, who gave me my first contract, were hugely encouraging and under their guidance I learned a great deal about writing a novel. My new publisher, MIRA, doesn’t follow the same open submission policy, but because they are part of the same Harlequin stable, their editor, Sally Williamson, was willing to read the books that became Daisy’s War. I was delighted when she said she loved them, and at the same time quite shocked to learn that I’d been writing a saga! Now, of course, I realise she was spot on – the books were mysteries with a sprinkling of romance, but they were also quite clearly a saga. Daisy is such an attractive character, a mix of vulnerability and strength, and I soon realised that her disastrous marriage in India was just the beginning of her story. Although bad things happen to her, she fights every inch of the way, through all three books, to become the person she was always meant to be. I couldn’t have left her at the end of the first novel, The Girl from Cobb Street – I had to see her reach safe harbour. So thank you, Sally, and thank you MIRA, for seeing the true potential of the series. And thank you Merryn for sharing a little about yourself. Certainly I will be keeping an eye out for more from you, whether it’s back to Regency, World Wars and beyond. 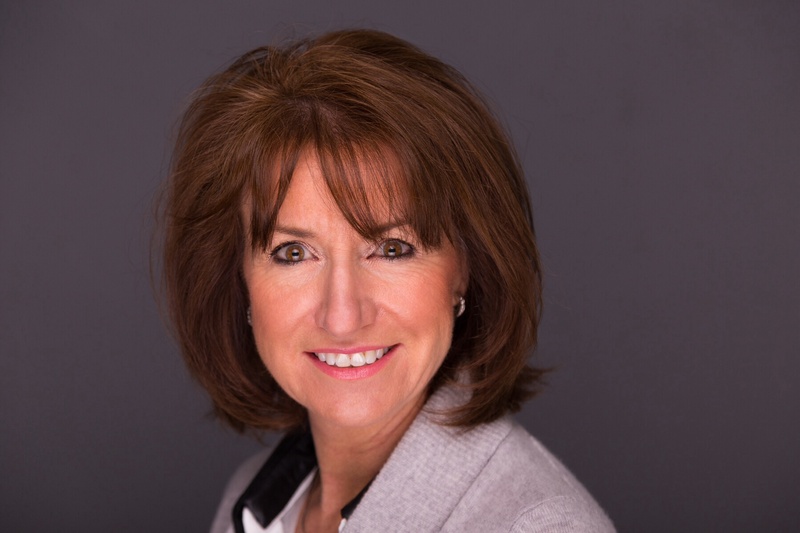 I am delighted to welcome Susan Godenzi to these pages, where she discusses how she found publishing on Amazon. coming to terms with life not turning out as she’d planned. She has secured an advance from an up-market women’s magazine, to write several articles on domestic violence. Lexie has been given access to a women’s shelter for research. Here she meets both acceptance and resistance. Vulnerable women and children are going missing from the shelter. Jillian Laidlaw is one of them. 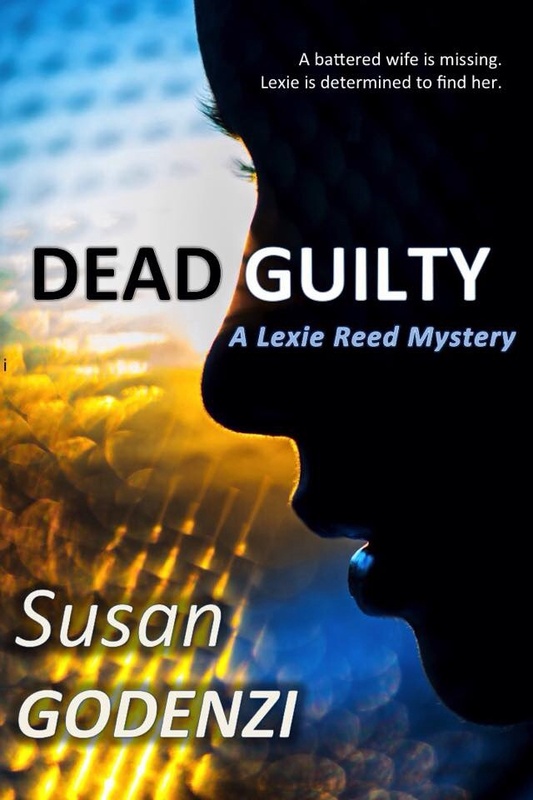 Nobody would have noticed – except that her abusive husband Sean has been murdered. Lexie discovers the whereabouts of Jillian and won’t let police politics or her own self-doubts get in the way of rescuing her. She’s not going to live life with If Only – not anymore! DSS Wil Saddington is in the middle of a divorce he doesn’t want, has a partner no on else will work with, and a murder to investigate when all he wants to do is go home and sulk. Lexie Reed won’t let that happen. She’s in his face, and pushing hard. Yes, there is the slightest hint of romance, but this much more a crime/murder mystery story. Thanks Susan, and as you know I’ve read it and found it highly enjoyable. I’ve been making up stories since primary school days. Always short stories, and I loved limericks. I was an on-line agony aunt and moderator for Dear Cupid, writing as Auntie Susie. I did that for about eighteen months. It was great for writing practice, and apparently I was helpful to some people too. Throughout my thirties and forties I sent in many entries for short story competitions, without success. One day I thought I’d have a shot at selling some to a magazine, so I sent off two to That’s Life! here in Australia. I didn’t hear anything in the expected two months, so gave up and forgot about it. Then out of the blue twelve months later, I received an email from the editor asking if I’d be happy to sell one of the two stories that he’d been hanging on to. Hell yes! I said. Several months later, he requested another. This gave me the confidence to believe that the first sale wasn’t just a one-off. I was feeling good about my writing, and decided to try writing a crime novel. I was reading a lot of crime at the time, and the story came easily. Wow, an Agony Aunt, hey! I bet that was fascinating – a whole blog post on its own I would imagine! What about getting published? How did you find yourself with Amazon? After I finished the book, had it edited and assessed, I started to send it out into the world. I had a list of literary agents in Australia, and I submitted to them all. Subsequently I was rejected by the all. So I sent my baby overseas and started attacking England and the US. I had one agent in New York who asked for me to do a re-write in first-person, rather than the third that it was in. That was a total waste of time and energy. Would never do that again, unless under a contract. Next move was to contact publishers. I had a plan – if I didn’t have any success by October 2014, I would attempt to self publish on Amazon. I became an indie author on 12 November 2014. Kindle Direct Publishing was a lot easier than I expected. I found the whole process fairly easy. I took my time and enjoyed the experience. I’ve since put up three short stories. Any questions have been answered promptly, and the people at Amazon have been very helpful. My next move is to do a paperback version of my novel through Amazon’s CreateSpace. That may be just a little taxing of my brain. 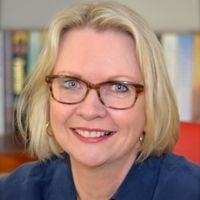 Thanks Susan for a fascinating look into life as an Indie Author on Amazon and we wish the very best with the rest of your writing endeavours. You know how it is:- you’re browsing in Amazon and on a whim purchase that book for no other reason than it’s there, it’s not too expensive and other people seem to like it. I’ve been there many times before I can tell you – that’s how my Kindle is filled to the brim with books that I’ve never gotten past the first page. Not so with Kathryn Hughes ‘The Letter.’ In fact I’m embarrassed to admit that I was late for the school run because I just had to finish that chapter! 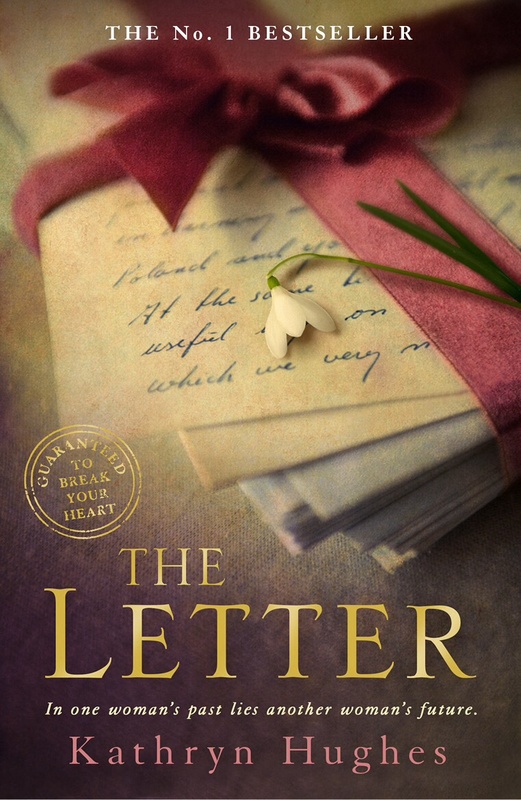 The letter is an enormous success story for newbi self published author, Kathryn – the kind of success that all unpublished writers can only dream of (Number 1 downloaded book for 3 weeks). That makes it all the more exciting to for her to agree to guest blog for me today. in 1939. They are linked by the discovery of an old un-posted letter, which Tina finds in the pocket of a suit which has been donated to the charity shop where she works. When Tina opens the letter, she is so moved by the contents that she embarks on a journey to find out what happened to Billy Stirling, the writer, and Chrissie, his sweetheart who never read the words that would have undoubtedly changed her life. I have always enjoyed writing short stories but I would not say I was prolific. I do not have a back catalogue of thousands of short stories like some writers do. I first had the idea for The Letter back in 2007 but I was working full-time and had two children to look after so it wasn’t until I cut down on my hours at work a few years later that I could finally knuckle down and finish the book. I’m sure many of our readers can equate to the difficulties of writing with children, I certainly can. So I believe you self-published first with help from Matador. How did you find this? What were the benefits? By the time I had completed the Letter in 2013, the publishing world had changed and it was now possible for anybody who had written a book to publish it themselves digitally. Of course it has always been possible to self-publish a paperback, but it is expensive and I did not want mine to be a vanity project. I chose to do this through Matador as I did not feel I had the necessary computer skills to convert my file to the one required by Kindle Direct Publishing. I believe it is not as complicated as it sounds though and many authors do choose to go directly to Amazon. However, with a publisher, they help with the cover design, publicity and upload the book to all the e-reader outlets, not just Amazon. Tell us how you have found publishing with the likes of Amazon? I have not just published with Amazon. My book is available through all e-reader suppliers. Amazon though do have the largest market share so I’ll just talk about them for a moment. Anybody who has written a book and has a modicum of computer knowledge can upload their work to Amazon. However, making it visible for customers to buy is the tricky part. There are over 400,000 books in the Kindle Paid Store, plus hundreds of thousands more in the Free Chart so it is easy for a book to get lost in the ether. In the first few months after publication I sold a few hundred copies but nothing to get too excited about. Then in April 2013, I made the book free for 5 days and during that time, 9,600 people downloaded it. As those people began to read it and leave positive reviews, so the sales grew. Never underestimate the power of word of mouth! I kept the price at £0.99 and by 14th November, 2014 it had risen to No. 1 in the whole of the Kindle Paid Chart, where it stayed in that position for over three weeks. And I hear there’s good news at the end of all your hard work. When will The Letter be appearing in hard copy? Well we wish you all the very best with your new book and look forward to seeing more of The Letter on our shelves in May. It only remains for me to thank you so much for agreeing to tell us about your experience – an inspiration to us all.